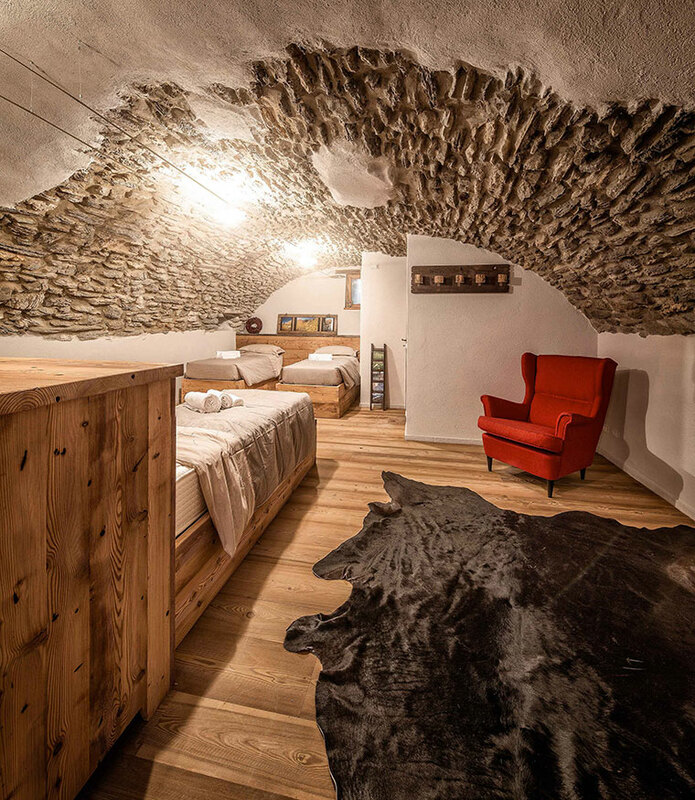 Subterranean, secluded, with a particular stone barrel vault that characterizes the room and give it an elegant appeal, contemporary, in pure mountain style. Where the crib was once located, now there is a comfortable couch to live moments of pure relaxation. This room was once a grain, seeds and hay sacks shelter and is located next to the stable. 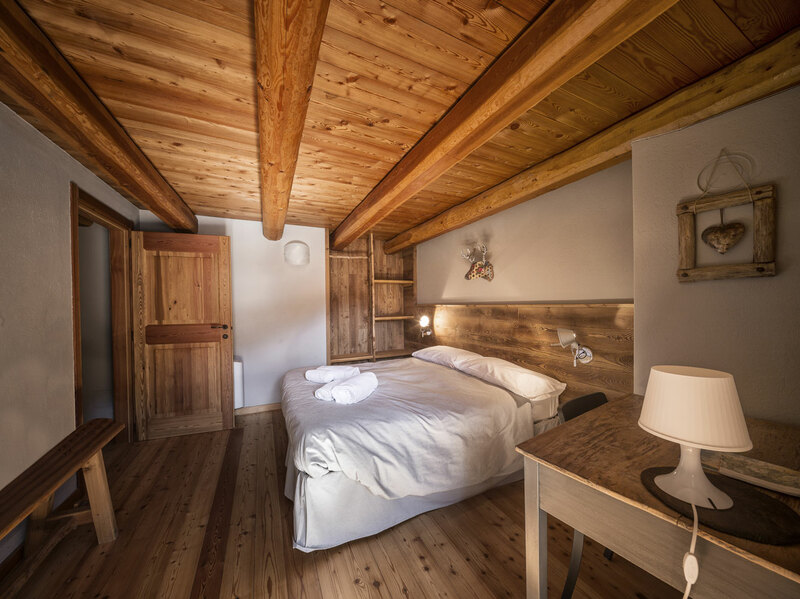 It’s particular for its high wooden roof with beams in view, stone inserts on the walls and the traditional floor made of large nailed down larch boards. A small outside terrace makes this location a unique place in which you can relax in front of the beauty of the Rocca Provenzale, granite symbol not only of Chiappera but also of the whole Maira valley. 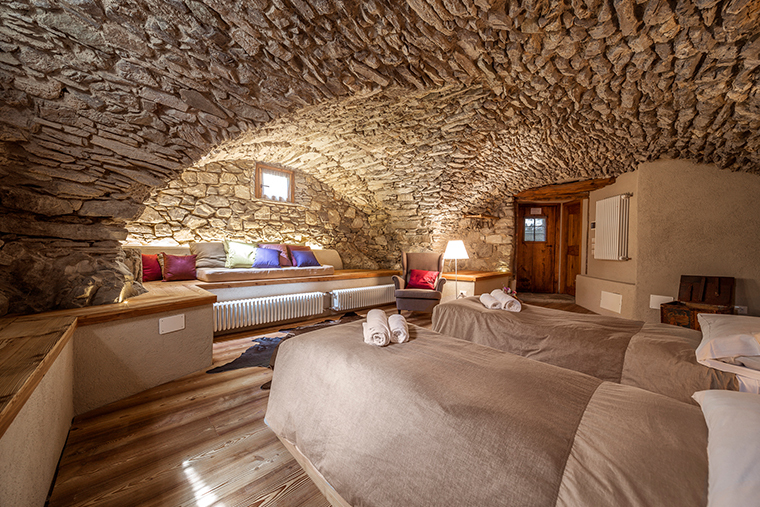 The peculiarity of this room is certainly the impressive cylindrical stone pillar, characteristic for the mountain architecture of this place, that welcomes you at the doorstep together with a small and refined stone arcade. 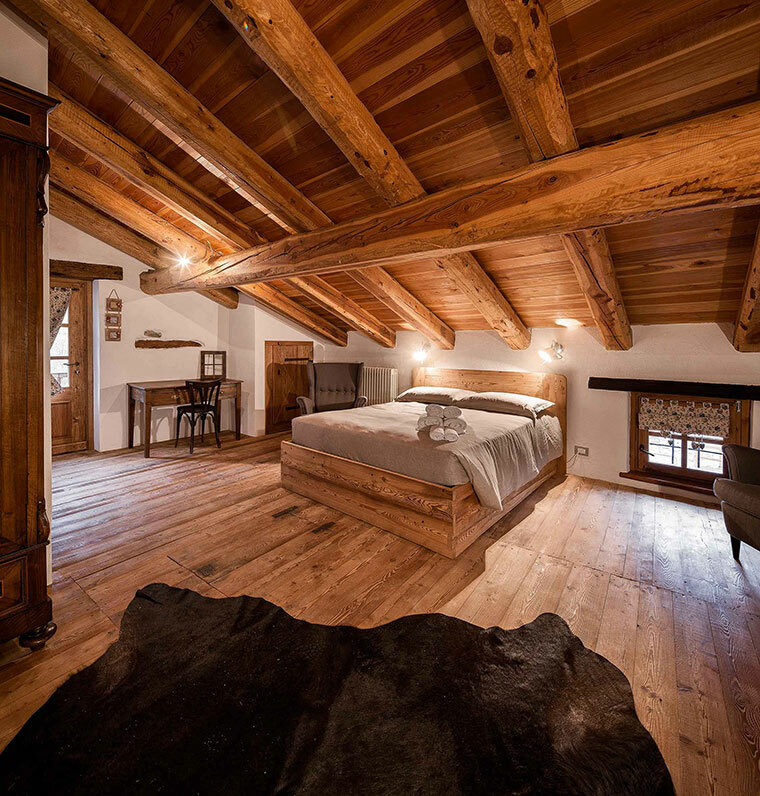 Inside, stone and wood are prevalent materials, sign of an authentic new interpretation of the local tradition. The stock house was originally a barn for cows and goats and a dormitory for the shepherd. 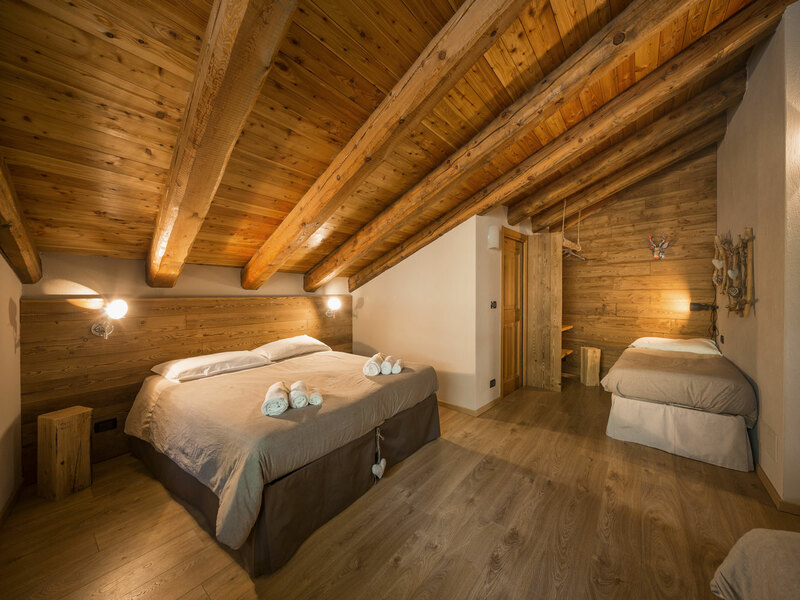 In an old village hut overlooking the Rocca Provenzale, this room offers a mix of charm, silence and independence.